Our favorite maxi dress from Indah’s 2018 Collection. Subtle earth tone stripes compliment every skin tone. 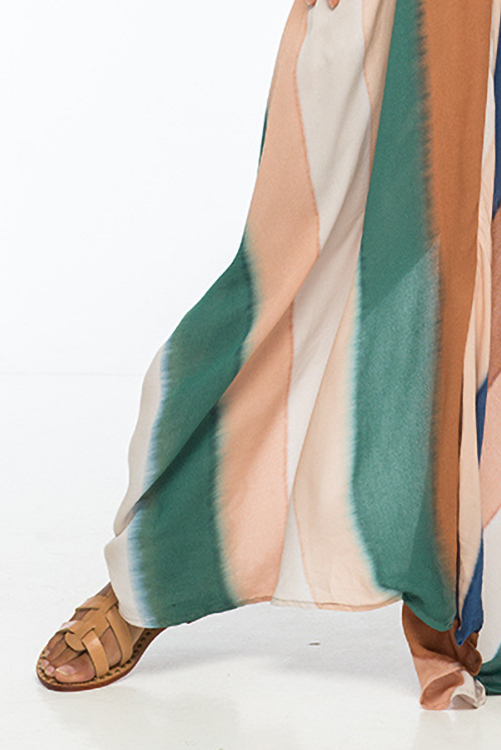 Beach Stripe Nammos Kaftan Dress is our favorite maxi design from Indah’s 2018 Collection. Plunging V neckline with knot shoulder detail. Back keyhole as well as adjustable tie closure. Low-scoop open sides. Maxi length hemline with back slit. Lovely earthly tone stripes accentuate any skin tone. 100% viscose fabric is lightweight and feels cool against your skin.